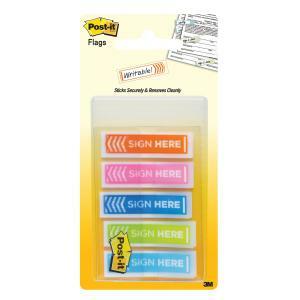 Post-it® Flags help to colour code your tasks, they stick securely and remove cleanly. Post-it® Sign Here Flags can quickly and easily direct clients to important pages that require action. Use different colours where multiple signatories are required.